Next year will be a very important one for RIM. In fact, it could be a make or break year as the Apple iPhone and Android are proving too much for the Canadian based carrier. Yes, the BlackBerry Bold 9900/9930 and BlackBerry 7 OS specifically, made some strides against RIM's competition, but things like a front facing camera, YouTube client, Dual-core processors are things that BlackBerry handsets don't have that the competition does. RIM is hoping that its new BBX OS, taken from the QNX software that runs the BlackBerry PlayBook tablet, will help it more than make up the gap between itself and the competition.Unfortunately, we have heard visions of grandeur coming from RIM's camp before. Remember the hype leading into the amazingly half-baked launch of the BlackBerry Storm 9530? 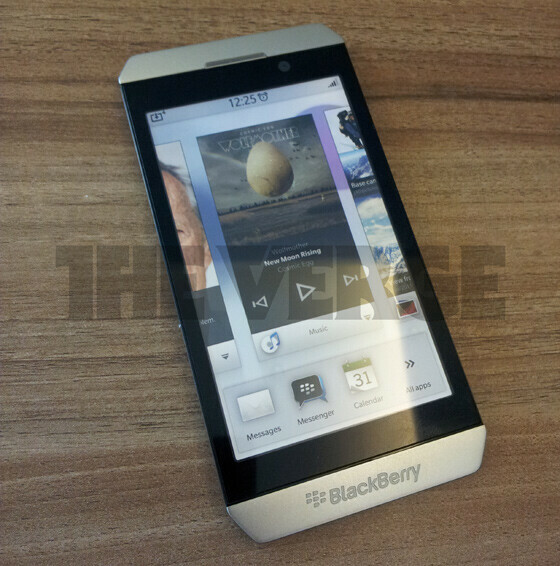 March 13th with the launch of the BlackBerry London. This will be the first BBX powered phone and could end being called the BlackBerry Surfboard, a name RIM reserved in 2010. The name refers to the surfboard-like shape of the device and it's outstanding web browser for surfing the internet. 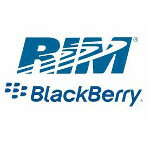 Later the same month, RIM is expected to launch the BlackBerry Milan for AT&T and Rogers. With the internal code for London R072 and R071 for Milan, this could easily be a case where the BlackBerry Milan is the GSM version of the BlackBerry London which could launch on Verizon. Crackberry hasn't a clue about the BlackBerry Lisbon, guessing that it could be a BBX powered slider. The BlackBerry Nevada looks to be quite a jackpot for RIM. This could be the BBX flagship model and has a form factor similar to the BlackBerry Bold 9900/9930 with a full QWERTY keyboard. Those hoping for a high-end BBX handset might have to wait until next November when the Nevada is scheduled to rollout. Finally, the BlackBerry Black Forest could be a 10 inch BlackBerry PlayBook tablet. Unlike an earlier 10 incher which was basically a larger version of the current 7 inch RIM tablet and got canceled, this tablet is different. It will allegedly have hard angles instead of rounded corners. While all of the above models are expected to be BBX powered, RIM is still expected to produce more BlackBerry 7 OS models. The company has said in the past that the move to BBX would not be a straight switchover, but would be a slower more gradual process. Regardless of what RIM has planned for 2012, they will be very happy to see 2011 in the rear view mirror.
. . . YouTube client ? ? ? Surfboard? These guys need to talk to HTC to get advice on naming their devices, I thought "Pearl" and "Playbook" were bad enough. The other issue with black berry devices were despite the several missing features (4g, dual core, front cam, etc. ), the prices were expensively the same if not more than top android devices. Hopefully their new phones will prove to be competitive. I don't see any LTE support for the new BBs. I wonder what else they are missing. With the latest 3q financial results for RIM, this is their opportunity to get their act together. Unfortunately, the market doesn't think they can.